Not-So Scary Haunted Houses are perfect for the kids and the whole family. For those overwhelmed by the haunting season or who just aren't into being scared this is the perfect Halloween fun. 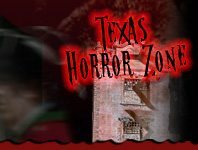 Whether you live near Dallas, Forth Worth, Austin or wherever, texashauntedhouses.com has got you covered on family friendly Haunted Houses throughout the state. Prepare for major fun, delicious snacks, fall drinks and great treats. There'll be no spooky surprises so you and your little ones can rest easy and enjoy the beautiful day. Be sure to bring the whole family and the camera to capture the fun!